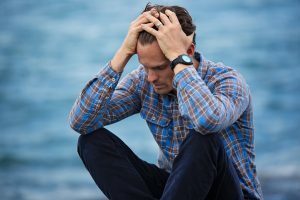 Make sure you read till the end because you’re going to have a proven step by step system that you can follow to stop this behavior once and for all! The worst thing is, you have no idea where it is coming from! What Does Cat Spray Look Like? Do female Cats Spray After Being Fixed? Introduction of a new animal to the household – If you have got yourself a new pet for example another Cat this will trigger your female Cat to spray because of territorial. They will spray to let other Cats know that this is her territory. Other Cats coming into the area – When unfamiliar Cats start to hang around in your kitty’s territory (The front of your House or Garden) They will spray around the windows or doors to let other Cats know that this area belongs to your Cat. Do you see how territorial Cats are? Visit to the vets – The first thing you should do is take your Cat to the vets to make sure there is no medical condition that is causing your Cat to spray. Stop Neighborhood Cats – You can keep Cats out of your garden or area by chasing them away so they get scared to come back. You can also place safe deterrents around the outside of your home to stop them coming. You can also temporary block the windows to stop your Cat seeing outside until the other Cats stop coming. Interact with your Cat – Play with your Cat everyday. Spend at least 15 – 20 minutes playing with her and just showing how much you love her. This will reduce her stress and make her feel loved. There is a difference when a Cat urinates and when a Cat sprays. Cat Spray looks like little drops which is usually found on vertical surfaces such as Doors, windows, curtains or anything vertical.. you get the picture! You will just see drops of urine which is very hard to find if you haven’t caught your Cat in the act! And I’m sure you know how bad it can smell! If a Cat can pee then they can still spray even if they have been spayed. Spaying your Cat is not the solution to your Cats spraying. A Cat can start spraying again due to the reasons we have just covered. 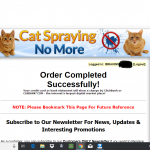 It’s not a impossible job to stop your Cat from spraying and I understand it can be very frustrating and annoying but the key to this is not to get angry with your Cat. 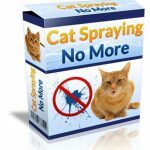 Your Cat is not doing anything wrong when they are spraying. It’s in their nature and it’s what Cats do. Family members start saying to get rid of your Kitty! My Cat was spraying everywhere in the house! The whole house would just smell like urine and that can be the worst smell ever! It’s a step by step system that you follow and it’s very easy to! My Cat has finally stopped spraying everywhere in the house! But they have a $10 OFF coupon code which I believe is still working! Happy days! They even have a sale going on which you can get I think another $10 OFF! I don’t know how long this sale is going on for so you might wanna hurry and see if you can get this awesome guide for $17!